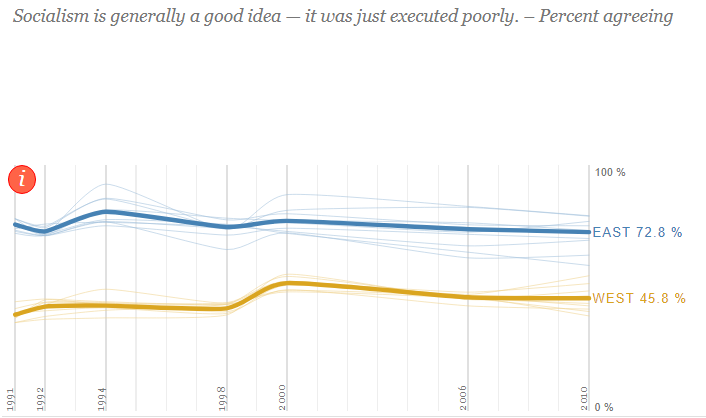 Here I would like to show several of these interesting visualizations. 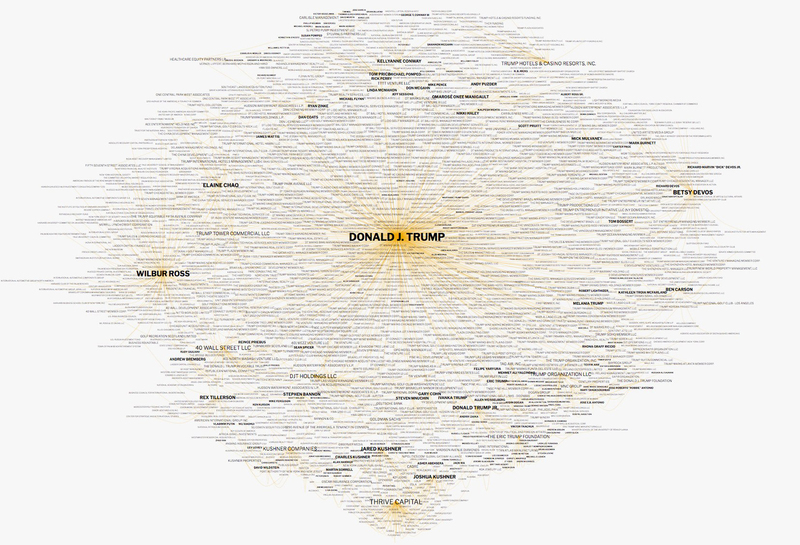 The first project entitled Trump connection is a network graph visualization of 1500 individuals and organizations connected directly and indirectly to Donald Trump. 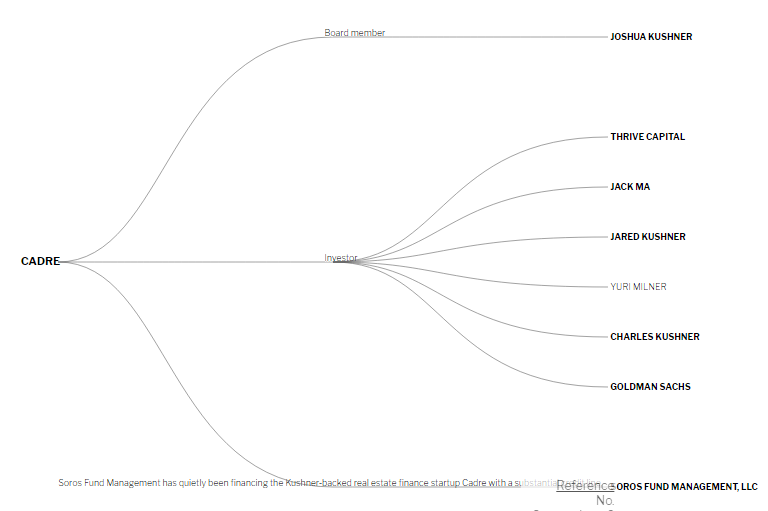 Through Kim’s website, you can also explore and search certain names. For example, I searched Jack Ma, the founder of Alibaba. Here is what I got. You see, Jack Ma invested a company called CADRE in New York, which Jared Kushiner, the son-in-law of Trump, also invested. It is quite surprising, at least for me, a Chinese, to learn that there is still a widespread approval in the former communist east Germany. 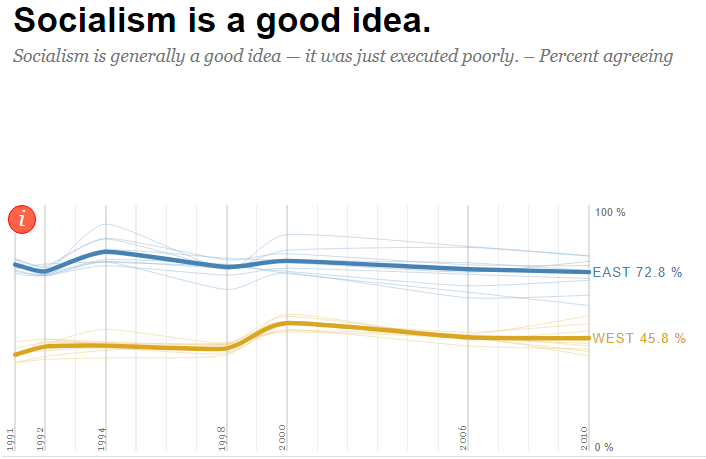 Kim Albrecht’s note for this is socialism is generally a good idea — it was just executed poorly. All photos in this page are from Kim Albrecht.